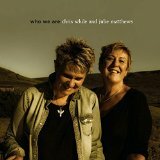 This folky duo have been around since ’94 although they evolved out of the much respected Albion Band and have already produced a “Best Of…” in 2006 so they are not short of musical and life experience to write about and this CD definitely focuses on interesting subjects rather than doomed love. The themes might not surprise you in this folk/country genre: dying babies, war and a tribute to the oldest holocaust survivor, who died earlier this year. “Who We Are” is their ninth studio outing for the Fat Cat label. They are frequent nominees as well as winners of Radio 2’s Folk awards and they have been covered by many acts including Mary Black, Fairport Convention and Barbara Dickson. This is no acoustic camp-fire session though; the instrumentation is quite rich and diverse, allowing for some creativity with the arrangements. The overall effect is that of sounding more expensive, but with disciplined production values; the outcome is balanced. My issue with it is probably one of tempo, which is a bit samey. The ballads tend towards upbeat while some of the other songs could use a little more energy. This collection of all-new songs starts in a jaunty mood with “If This Were Your Last Day” with its bright jangly guitars and vocal harmony that asks us to ditch our regrets; ‘Would you do it another way/ if this were your last day?’ This is the most obvious single of the set, with its catchy chorus and daytime radio-friendly lyric. Their voices blend effortlessly and to great effect, my only comparison might be vaguely to the Indigo Girls. The musicianship is of a consistently high quality throughout, lending this album a sophisticated, professional atmosphere. My favourite tracks are: “Drop Hammer”, a rhythmic vocal composition about women’s war effort in the Sheffield steel mills and “Mad Men”, a more contemporary arrangement, focussed on planetary ecology. I’m sure this collection of songs will keep the fans happy but I just don’t know their back catalogue well enough to know if this is their best yet.